BeKrakow warmly invites you to take advantage of attractive offers which include private transfers from Krakow to Budapest. We are a company which specializes itself in professional transportation. We address our offer to all those who are looking for the best possible way to get to Budapest from Krakow. Choose our private taxi from Krakow to Budapest and see for yourself how comfortable and pleasant a journey can be. Wondering why you should use our services? Attractive transfer attractive price, luxury chauffeur and comfortable vehicles are our big advantages. We work in the door-to-door manner, making transfer from Krakow to Budapest faster and more convenient than traveling by train, bus or plane. Our clients are always picked up at a pre-arranged destination. The destination can be anywhere eg. at a hotel or at the Krakow airport. By choosing our car service you can be sure that in a safe and comfortable manner you will get to the desired location – our taxi will drop you wherever you desire. The capital city of Hungary, Budapest, is located in the northern part of the country by the river Dunaj. The city is one of the most important Central European metropolitan cities, being an important center of science, culture and tourism. Getting from Budapest to Krakow has never been so easy. The transfer from Budapest to Krakow organized by us runs through such cities as Krakow, Dolny Kubin, Ruzomberok, Saha and Budapest. On the left there is a table which shows the cost of a taxi from Krakow to Budapest. As a professional company providing international transfers we provide our customers with the opportunity to be received directly from the Krakow airport. Thanks to such option you save your time as much as you can get, so it’s really worth its price! What is the distance from Krakow to Budapest? Distance from Krakow airport to Budapest is 360km. Choose your journey with BeKrakow – and gain guarantee for a safe and quiet ride, without the need of wondering how to go from Krakow to Budapest. Drive from Budapest to Krakow usually takes around 6h. We would like to add that in view of possible obstacles on the route (ie. Traffic jams, road works, etc.) the transfer time can be changed, as we will keep you notified. In the event of any difficulties on the road we will establish alternative routes or detours. All the necessary information can be found in the table on the left. The price of the transfer from Krakow to Budapest depends on the number of passengers. We would like to add that the amounts given in the table already include all charges, including gas, cost of taxi, baggage service, air conditioning and insurance. During the transfer from Krakow to Budapest it is really worth to stop along the way to do some sightseeing. On the way from Krakow to Budapest we escpecially recommend two places: Zakopane oraz Oravski Podzamok. Zakopane is a place that is really worth visiting. The city is referred to as the winter capital of Poland, but there is no shortage of attractions throughout the whole year. Zakopane is located about 100km from Krakow and being located at the foot of the Tatra mountains gives it an incredible charm. The most important attractions in Zakopane include: ski jumping, Gubałówka mountain, Kasprowy Wierch and Krupówki street. Find out more about Zakopane by clicking here. Podzamok Orava is one of the most beautiful castles located in Slovakia – being situated on a rock, it rises about 112 meters above the Orava river. It was built as the so-called “Eagle’s nest”. The entire castle complex consists of upper, middle and lower castles, palaces, towers and fortifications. A place famous for its breathtaking view. .
Do not hesitate any longer – book a taxi and stop wondering, how to get to Krakow from Budapest. Traveling is way easier with us. 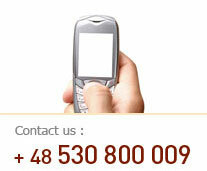 We invite you to contact us – either via telephone or e-mail. Easy and comfortable way of getting from Budapest to Krakow. Faster than train from Budapest to Krakow or bus from Krakow to Budapest. Cheaper than private taxi from Budapest to Krakow.